I love the placebo effect. It’s a subject matter worth diving into. I first started really getting into it around the time that I wrote Mental Muscle. Facts like placebo surgeries often doing as well as real surgeries. Facts like placebos working…even when people are told they’re placebos. Facts like a more expensive placebo outperforming a less expensive placebo. Facts like a little red pill outperforming a big white pill. Placebo is the belief or expectation of something doing something. And so I just came across an interesting new study in the area of placebo and genetics. In plain English, if you are told you are high risk for obesity because of your genetics than it will change the results you get from exercise and eating in a negative direction. If you are told you are low risk for obesity because of your genes it will change your results in a positive direction. This occurs whether or not you ACTUALLY have these obesity genes. This isn’t to say that genetics aren’t important at all. They absolutely are…at least in some cases. There are diseases where a single mutation seems to be the problem. But when we’re talking about weight loss, fitness or getting stronger, not so much. Here it doesn’t matter your genes very much at all. It is within your control. Take the idea of a hardgainer as another example. This is someone that has a hard time putting on muscle. Is it because of genes? Or is it because they believe they’re a hardgainer? Or is it a bit of both? Instead, focus on what is in control. That means your behaviors like the exercise you do and the food you eat. Absolutely. And realize that you can transform your beliefs too. Most people don’t realize that these are actually within their control…if they learn how. Like those subjects in the study, what if you BELIEVED you had genes that made being healthy and fit easy, regardless of the actual genetics? 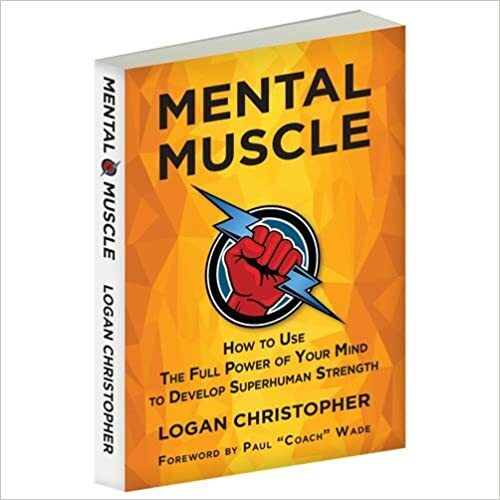 A good place to start is Mental Muscle. If you don’t have this book yet, what are you waiting for? And for those that already have this, a deeper dive can be found here.